Want to learn more about Canada’s first Poverty Reduction Act (PRA)? 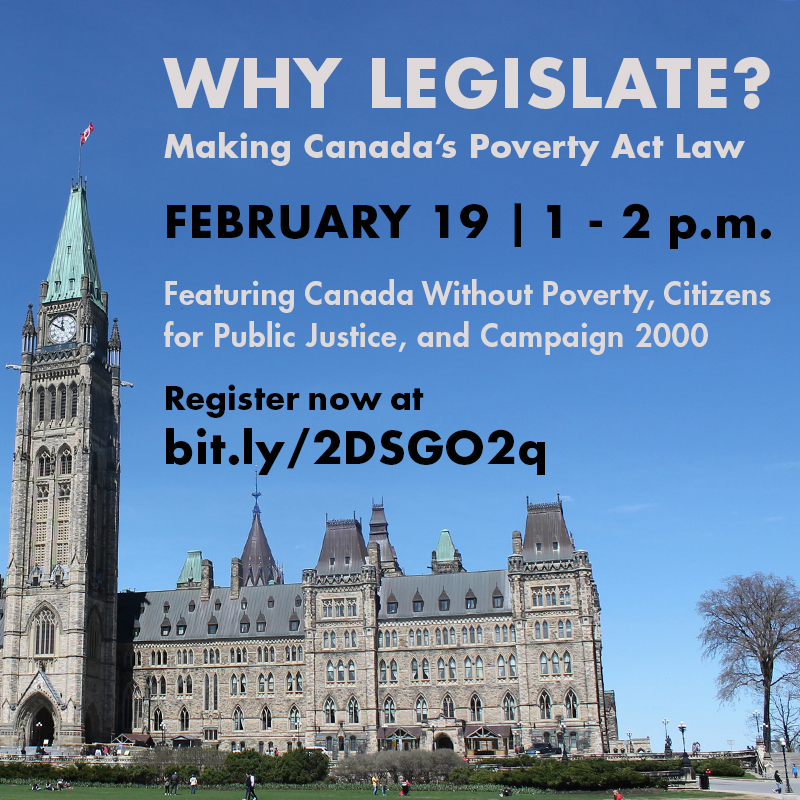 February 19 from 1:00– 2:00 pm EST, hosted by Canada without Poverty (CWP). We’ll answer questions like: What’s so important about the legislation attached to Canada’s first Poverty Reduction Strategy? What has the federal government proposed and how can it be strengthened? And what does this all mean for the rights of millions of people living in poverty? We will also take questions from you and talk about how to support strong poverty reduction efforts. Speakers include Laura Cattari (CWP board member) Darlene O’Leary (Citizens for Public Justice), Michele Biss (CWP) and Anita Khanna (Campaign 2000). Space is limited, so register now to join the Webinar.